The season of festivals is upon us. Chaitra Navratri starts on 6th April and goes on till 14th April this year. Chaitra Navratri is that time of the year when people observe fast and celebrate the nine auspicious days of Navratri 2018. 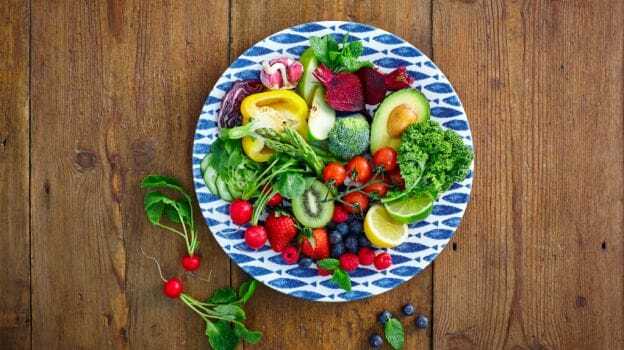 While some may perceive this as a time to feast on their favourite Kuttu Puris and Kaddu Pakoras, Navratri fasting if done in a healthy way can actually help you detox. The nine nights – Navratri – is traditionally a time to fast, and pray. It is a time to cleanse the mind and body, to rejuvenate. Both Chaitra and Sharad Navratri are celebrated at the change of seasons, a time for the body to change gears and get ready for the next seasonal cycle. The best time to break away from the regular and give the body rest. Unfortunately, as we celebrate Navratri, we indulge too. We gorge on high fat, sugary and calorie dense foods. Traditional ingredients used during this period are very healthy and wholesome. 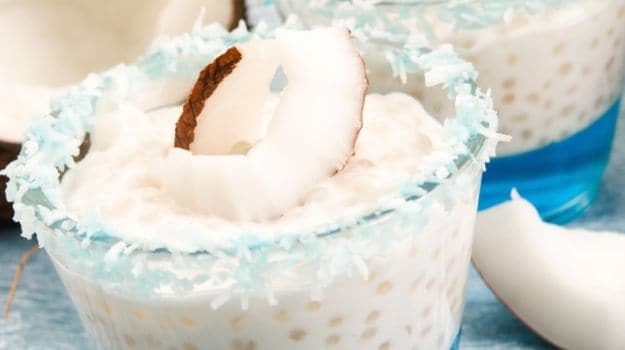 They add both essential nutrients and compounds that protect us from diseases, which is largely the purpose of the festival, to fortify us from within during the changing season. Kuttu, samai, singhara and amaranth are great sources of fiber, protein and antioxidant polyphenols. The complex carbohydrate and soluble fiber in them adds to satiety by slowing digestion. Dry fruits and nuts add a boost to the nutritional value of the day's food, while fresh fruits and vegetables provide vitamins and minerals to keep you energised. 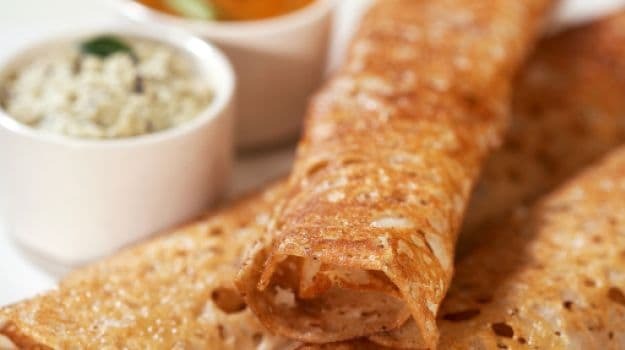 Kuttu can be used to make dosa, uttapam and rotis instead of poori and parantha. Samai, used as rice, can be made into pulao or kheer with low fat or skimmed milk. Steamed idli of kuttu and samai is a healthy breakfast and snack option. Amaranth rotis and Quinoa pulao add a whole lot of fiber and quality proteins to your food. 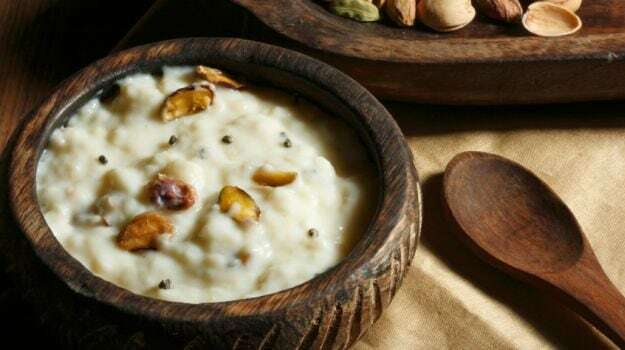 Makhanas can be roasted with sendha namak instead of frying, or used as a kheer to satiate your sweet tooth. Let tasteless food not drive you to choose unhealthy cooking techniques. Navratri 2019: Amaranth rotis and Quinoa pulao add a whole lot of fiber and quality proteins to your food. 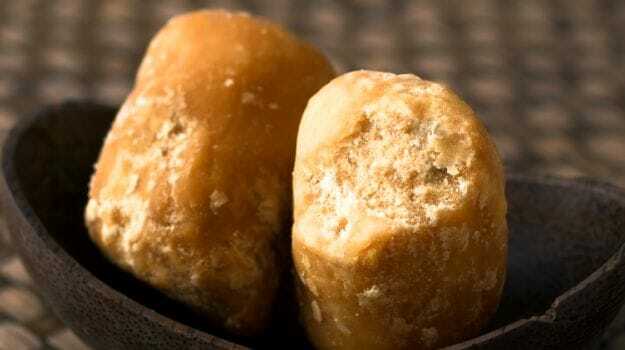 Processed sugar can be replaced with jaggery (gur) or honey. Spices are a power house of antioxidants and protective foods. They add health and taste to food as well as aiding in digestion. Jeera (cumin),elaichi (cardamom) and dhania (coriander seeds) are known for their carminative action. Navratri 2019: Jeera (cumin), elaichi (cardamom) and dhania (coriander seeds) are known for their carminative action. Who doesn't like going to restaurants and trying those yummy Navratri thalis? However, the pooris and fried dishes are really not helping you. Opt instead, for low fat versions of food available. Try upma made with samai or a simple pulao with a fruit raita to finish. Sago khichdi, with meetha pumpkin subzi is another alternative. Want something exotic? Quinoa and amaranth salads are a great meal choice. Grilled paneer tikka and baked potato are delicious snacks which won't hurt your detox plan. Sago khichdi with a spinach and fruit salad, samai fruit and vegetable salad are great ways to eat a healthy meal within the parameters of the Navratri do and don'ts. Navratri 2019: Try upma made with samai or a simple pulao with a fruit raita to finish. Some of us follow the path of one meal a day during this period. In such a situation, break your fast with some fruits or nuts. Warm lauki soup or fresh coconut water are light on the stomach and replenish fluid and electrolytes. Just because you have fasted through the day doesn't mean that you eat through the night. 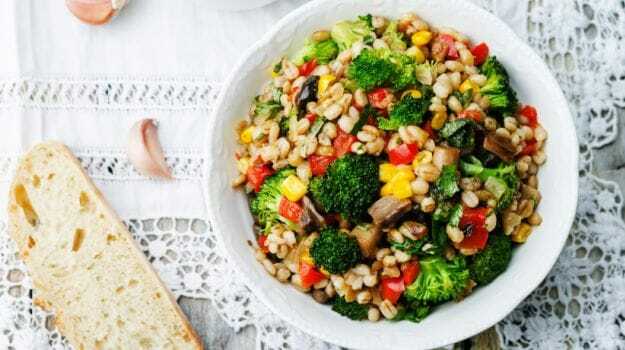 Have a light meal with vegetables, dahi and some cereal grains. Quinoa and Samai can be used as rice as well as a salad. Use milk or a light samai kheer for a bed time snack. This will help keep you light and keep your digestion in top shape. 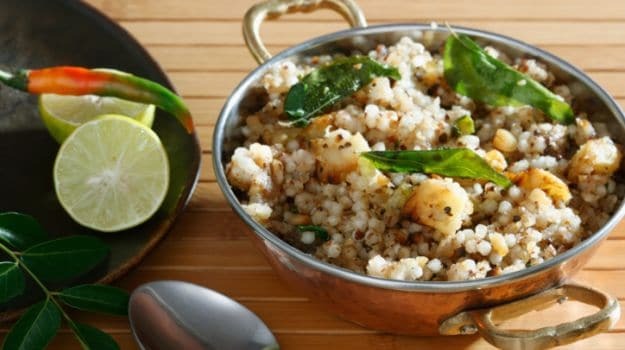 Navratri 2019: Quinoa and Samai can be used as rice as well as a salad. Fruits are a great snack idea; most of them are low calorie dense and full of antioxidants, vitamins, minerals and fiber. Instead of fried, high salt trans-fat source, commercially prepared namkeens reach for a seasonal fresh fruit. Use the air fryer to make low fat options of fried snacks like kuttu cutlets, sago pappad, pakora, kuttu atta cheela.Singhara flour pancakes are also a healthy snack option. Nutrition booster to add to your list are nuts, seeds and dry fruits. Have a handful every day to stave of hunger pangs, load up on prebiotic fiber of raisins and polyphenols of dry nuts and seeds. Navratri 2019: Use the air fryer to make low fat options of fried snacks like kuttu cutlets, sago pappad, pakora, kuttu atta cheela. The weather is still warm, and the body needs to be kept hydrated. In our celebratory mode, we forget to drink adequate fluids. Low calorie fluids like fresh lemon water, for its Vitamin C (a natural antioxidant), and coconut water with its sodium, potassium and calcium, rehydrate and cleanse. Green tea is a rich source of catechin, a strong antioxidant, making it a perfect drink to detox. Not adding sweeteners makes it a very low calorie drink. Fresh fruit juices and vegetable juices add to the antioxidant quotient of the day. But do not forget water, the best drink for our body! 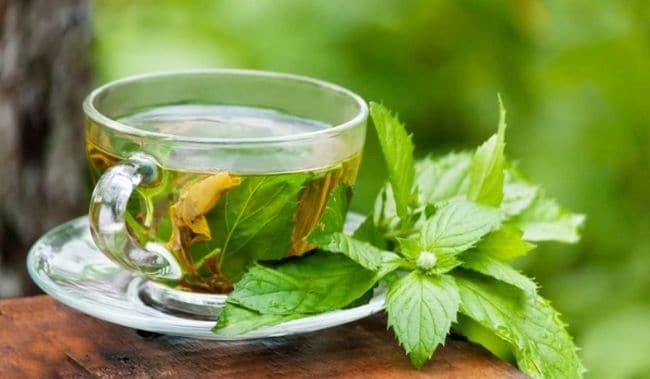 Navratri 2019: Green tea is a rich source of catechin, a strong antioxidant, making it a perfect drink to detox. If not fasting, do not skip meals. The basic principle of the three meal pattern and two to three snacks holds well during fasts too. Eat at about the same time daily, it makes the digestion more efficient and helps the body utilize food energy effectively. This helps keep up your energy levels, keep exhaustion at bay and prevents bingeing. 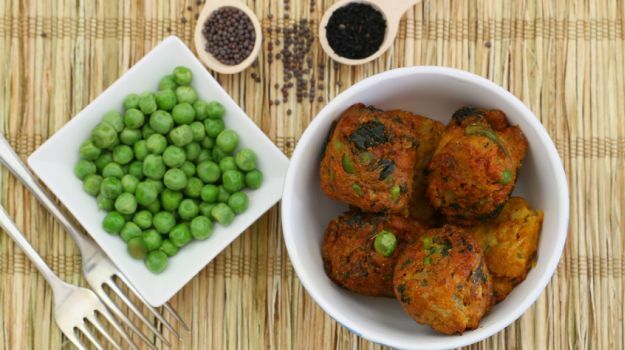 Navratri 2019: The basic principle of the three meal pattern and two to three snacks holds well during fasts too. Nature has spread goodness of nutrition across all kinds of food. Eat a new food daily, so if it iskuttu ka atta today, try samai tomorrow and sabudana the next day. Fruits and vegetables add variety with lovely colour. This will ensure you get the goodness of all foods and life isn't monotonous or boring. Comments Navratri 2019: Eat a new food daily, so if it is kuttu ka atta today, try samai tomorrow and sabudana the next day. Our body has a very efficient natural detox process which takes care of most of the environmental attacks and effects of moderate indulgence. All we need to do, is maintain this natural balance by following a healthy lifestyle – seasonal fresh food, regular exercise, and a work-life balance. Fasting is a way to give our body a break from the regular routine, help it rest and rejuvenate. Detox this Navratri 2018 and get the body ready for a season of indulgences and partying!